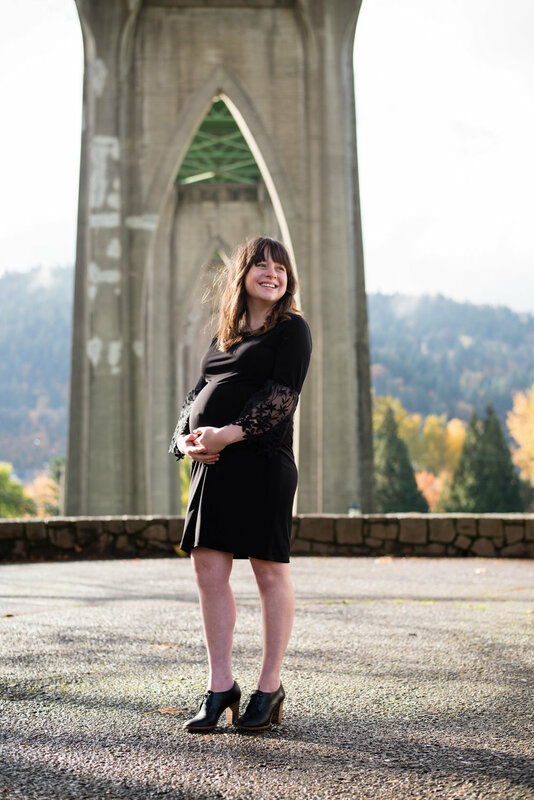 Taking maternity (or any) photos outside in November is a gamble - here in Oregon the weather is so hit or miss. And this was no exception, we had all of the weather while we were at Cathedral park - rain, wind, sun. 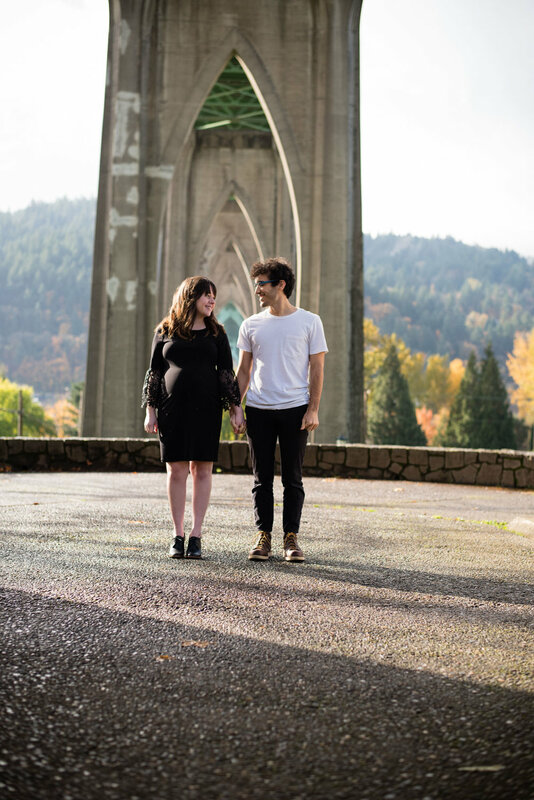 It was a shocking and fun mix that created a whole range of beautiful maternity photos for this lovely couple. 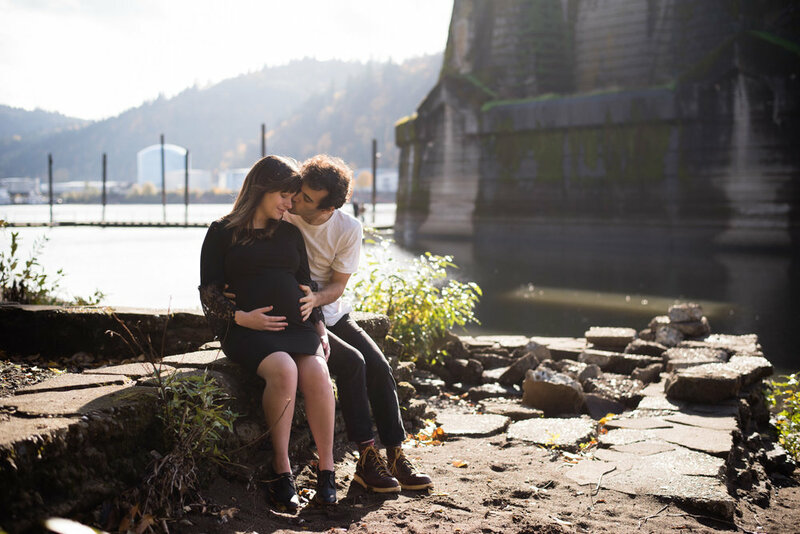 Kara emailed us just a week ago asking if we could do maternity and newborn photos for her and Ben. 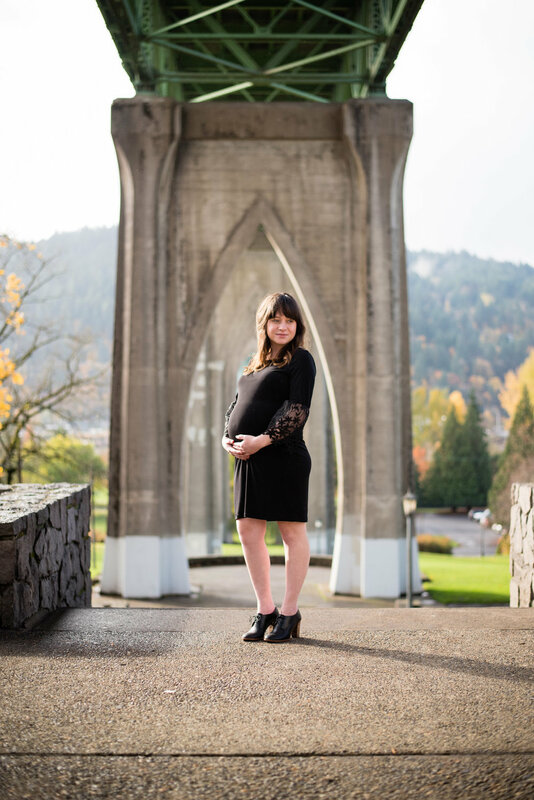 I saw the email pop up on my phone and was so excited to do another maternity and newborn shoot (because who doesn't get excited about an opportunity to seek a brand new baby!) 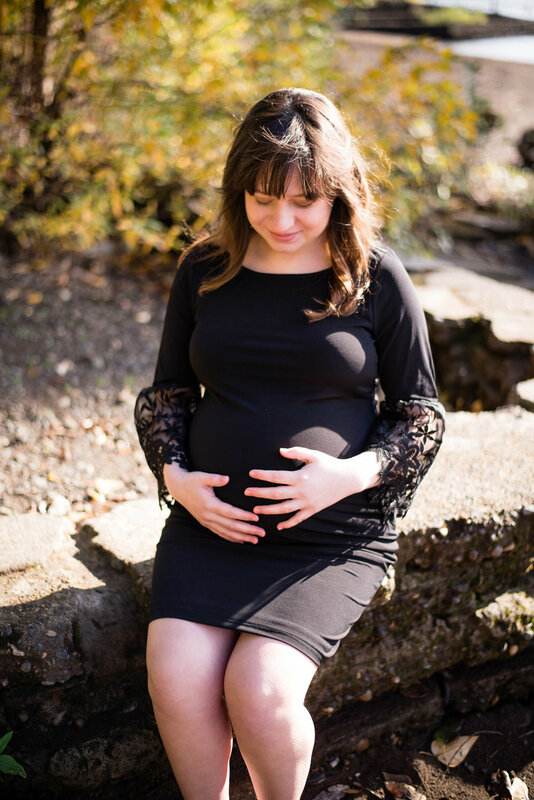 And then I read the email and realized that Kara was due in just 3 weeks! So we scheduled a shoot for later that week - its clearly meant to be when you can get everyone's calendars to work with just a few days notice. I am so glad we were able to get the pictures. Kara is lovely and it was so fun to watch her and Ben interact. I cannot wait to see them as parents! 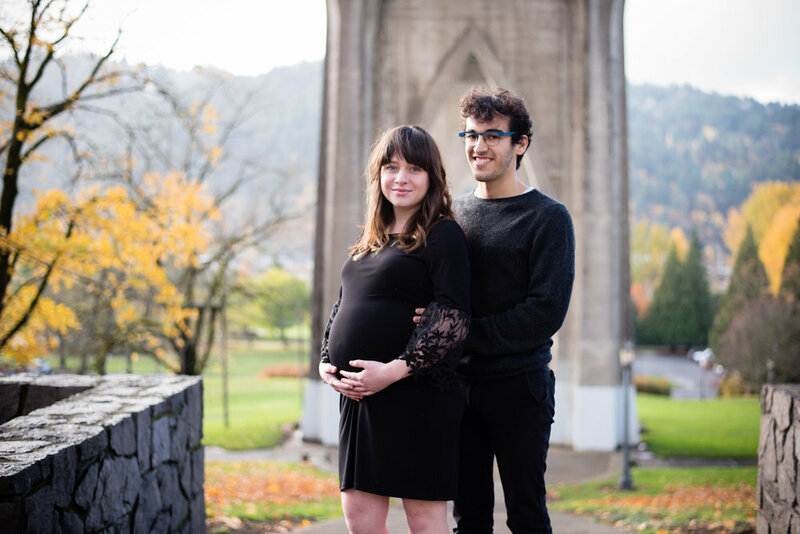 Watch the blog in late December for their newborn shoot!